Tons of New Model Kits from Japan, Open for Preorder Now! The Shizuoka Hobby Show will be held May 8-12, featuring the debut of many new model kits and other items from some of the best manufacturers in the world! HobbyLink Japan invites you to a front-row seat as we check out the latest and greatest from all your favorites -- and many of these outstanding items are ready for order right now, so read on to check it out! We're continuing to add info and photos of new items debuting at the show, so keep checking back! Click the product images to visit the product pages and learn more! From four-wheeled wonders to science-fiction stars, Hasegawa will serve up great new kits this summer! Leading the way is the starship Minerva, featured in Japan's long-running "Crusher Joe" franchise of novels, manga, and anime productions. This 1/400-scale beauty features pre-colored parts and a snap-fit design to build into an end result you'll be proud of! In-scale versions of other iconic craft in the series, the Galeon and Fighter 1 and 2, are included. Slated for July release! If you love Japanese speed machines, a gotta-get is in the works for June: a 1/24-scale kit of the Toyota Starlet EP71 Turbo S (3-Door) Late Production Type! The third-generation Starlet's sporty 1988 version has been precisely reproduced in this all-new kit, which is molded in white with silver-plated headlights and decal markings. The latest in Japan's rice-farming technology will make for a unique new kit in July! The 1/35-scale Yanmar Combine YH6115 depicts the cutting-edge vehicle that can harvest, thresh, and sort rice. Easy to build, and with no need of paint thanks to pre-colored parts, this kit features an array of movable parts as well as a male operator, modeled from a prototype by Satoshi Tsujimura. Box art by Tankro Kato! Satoshi Tsujimura is doing quite a favor for your own model cars, too, sculpting the prototypes for shapely 1/24-scale ladies to show off your vehicles as if they were at a car show! With each standing about 73mm upon completion, these easily assembled kits of fashion models will be on the way in June, with companion girls to follow in July. Arriving with June's summer heat will be a 1/24-scale kit of a hero from the 1992 All Japan Sports Prototype Car Endurance Championship (JSPC) season, the YHP Nissan R92CP! Featuring new rear cowl, rear panel, side panel, and wheel parts, and Cartograf decal markings for the NISMO team's car 24, this is sure to be another winner from Hasegawa! 1/24 Mitsubishi Starion Gr.A 87 JTC Ver. 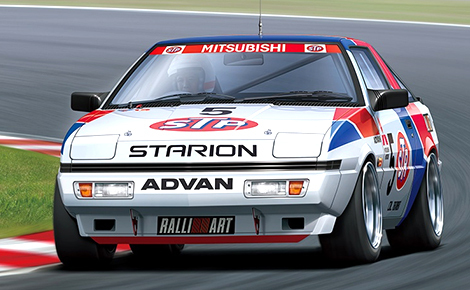 Initially starting as an airplane research institute, Aoshima has become one of the leading manufacturers of plastic model kits in Japan and this year will showcase a beautiful rendition of the 2-time winner of the Japan and Touring Car Championship, the Mitsubishi Starion GR.A '87 JTC Ver. Fans of "Future Boy Conan" can also expect to see a fine detailed Flying Machine I & II complete with miniature figures of Conan, Lana, and Dr. Lao to add to their collection. Collectors can also look forward to adding the new-mold Toyota NTP10 Japan '17 Taxi to their model car collection, available in two color variants - Black and Super White II. Also expected to be released are the affordable and easy-to-build Snap Kits of the most popular SUV in 2018, the Toyota C-HR, sporting two color variations, White Pearl Crystal Shine and Black Mica! Last but not least, military model kit fans can count on the new JGSDF Type 16 Maneuver Combat Vehicle Rapid Deployment Regiment, including two auto-bikes to expand your platoons! The kits are slated for release in July, and we can't wait to get our hands on them! Fine Molds is ready to impress with their new kit celebrating the 80th anniversary of the first flight of the Zero-class Fighter! 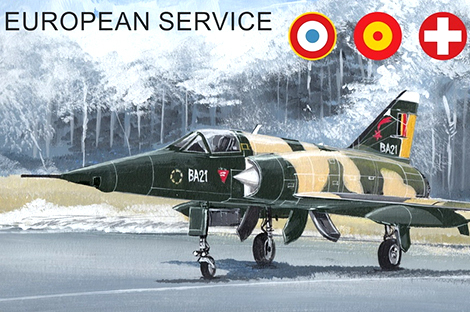 The kit includes parts to build two Zero Fighters, the Prototype 12-shi and Model 11, both featuring newly molded parts to accurately recreate these historical fighters. They're a must-have for any fan of the Zero, and we can't wait to see them in person at the show. Their second new kit planned for Shizuoka hails from the comic, "Girls und Panzer: Ribbon no Musha," and recreates Team Oni's Type 94 Tankette Super Kai and unmanned turret. The unique equipment has been captured in precise detail, including a newly molded automatic gun and parts for the tracks. The kit will also include photo-etched parts for the muffler cover and fender stay. Along with their new kits, Fine Molds will also be showcasing their earlier releases, such as the 1/35 Type 97 Light AFV Teke, the 1/35 Type 41 75 mm Mountain Gun Mountain artillery, and the 1/72 IJA 150t Super Heavy Tank O-I! Platz is back with another great showing this year! 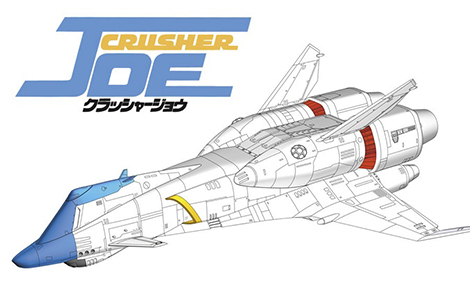 Starting off with the JASDF T-1A, the fuselage is made from entirely new molds, is easy to assemble, and features precise reproduction of all the T-1A's intricate parts. They're also bringing us 3 kits straight out of the 2019 anime series, "The Magnificent Kotobuki." Each comes with 2 complete kits that feature decals to recreate the characters' beloved aircraft! Don't worry tank fans, we haven't forgotten about you! Among Platz' military offerings is the Porsche Tiger from "Girls und Panzer Finale Project," with parts by Amusing Hobby and decals for the Leopon Team. Now kits are great, but what are they without tools? Platz is showing off a great selection of high-quality files, along with a nifty little tool that will help you get the perfect right angles! It should come as no surprise that Tamiya's lineup at the Shizuoka Hobby Show this year will be something to behold! 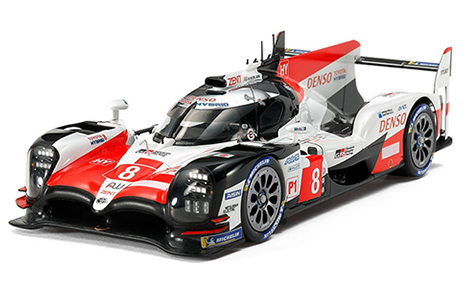 We're especially excited to check out the TOYOTA GAZOO Racing TS050 HYBRID, which features a sleek and accurate 1/24 scale recreation of the original sports car. 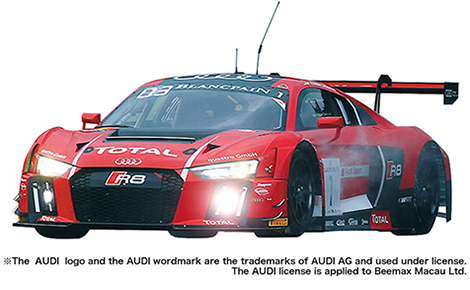 Sharp-looking decal prints add to the realism and give you the choice of recreating either the No.7 or No.8 car. The kit features an incredible amount of charming details, such as a metal-plated cockpit roof, metal transfers for the headlights and side mirrors, and even masking stickers to help you out with the paint job. From their 1/35 Military Miniature Series comes the British Tank Destroyer M10 IIC Achilles. Originally a modified U.S. M10 tank destroyer with a fitted 17 PDR gun, this tank can soon roll into your collection. It has been rendered as accurately as possible, created after careful and extensive examination of the original machine. In addition, four figures are included in the assembly kit, so you'll be able to set up a display with an extra boost of realism! And we can't forget about Tamiya's 1/12 Motorcycle Series! Rev your engines for a scale of the popular and eccentric-looking Honda Monkey 125! There's no doubt that this model assembly kit captures the charming adaptability of the original compact form. With a realistic depiction of the single-cylinder engine, metal-plated parts, and an authentic tread pattern on the synthetic rubber tires, you'll definitely want to make this a part of your collection! On the racing side we have the Mach Burette Metallic Special (AR Chassis), a 1/32 scale racing mini 4WD series special edition. The original AR Chassis is designed to offer its driver durability, customization, and ease of maintenance - and we're sure to see all of these features recreated in this scale kit. The body is molded in ABS and given a semi-gloss plated finish, and also features metallic decals with a complementary color scheme. For 3-wheeled fun, check out Tamiya's Star Unit Series No.7, the 1/8 R/C Dual Rider assembly kit! With a futuristic Takayuki Yamazaki-designed body with an extended transparent canopy, this R/C model assembly kit is sure to please. The included driver figure has the ability to pose its arms in various ways, and comes with a multitude of headgear options. You can even make the digitally-themed headlights light up with separately sold LEDs. Don't miss out on this exciting kit! Kotobukiya wants your Frame Arms, Frame Arms Girls, Megami Device, Hexa Gear and other such figures to be extra well-armed, so they're bringing back many of their fan-favorite Weapon Sets with new colors and gleaming metallic finishes! The Frame Arms Girl Weapon Set 1 features extra shoulder armor, two assault rifles, a pair of bazookas and more; the Heavy Weapon Unit Mega Slash Edge returns in a spectacular clear red color that'll look great when your figures head out for battle! The Samurai Master Sword is also back in icy clear blue with white fittings. For those who prefer to customize, the Mecha Supply Assorted 01 Flexible Arm Set offers a huge variety of parts to enhance your fighting mecha! And Kotobukiya's Convert Body Special Edition, available in 4 colors, offers customizers a fully posable base for your own one-of-a-kind fighting machine. Check it out and order yours today! 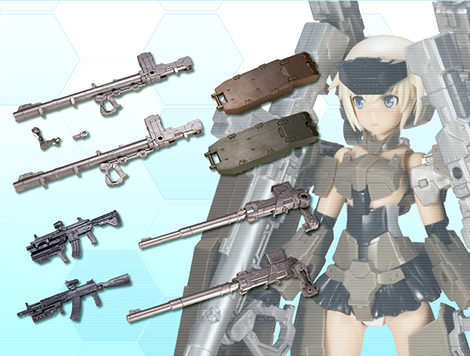 Mecha Supply Assorted 01 Flexible Arm Set Gun Metal Ver. In 2017 ICM delivered the finest 1/32 scale kit ever available of the famous Russian World War 2 fighter, the Polikarpov I-16 Rata. They've brought us the Type 24 and 28 previously, and now with this new boxing they are set to release the earlier Type 10 variant. Classic car modelers out there may want to take note of this next new-tool release on the way from ICM: a circa 1910 Type AG Paris Taxi in the standard car model scale of 1/24! With a plethora of 1/24 scale figures available, this kit may also be one to pick up for diorama modelers out there. ICM also has quite a number of new figure kits and accessories on the way of a variety of subjects and in different scales. These include new-tool kits such as the 1/35th scale German MG08 Machine Gun, a 1/16 Delta Force Fighter as seen in Mogadishu circa 1993, and fans of a certain high-profile fantasy HBO show might recognize the Great Other! Following the 2016 release of their new tool Me-262 as a twin-seat night fighter, Revell finally brings out the more famous and well-known variant, the single-seat A-1! 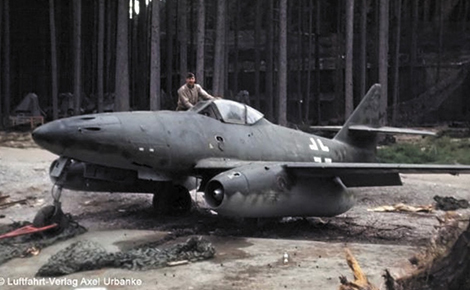 Entering service in 1944, the Me-262 A1 was the fist operational combat jet-powered aircraft in the world. 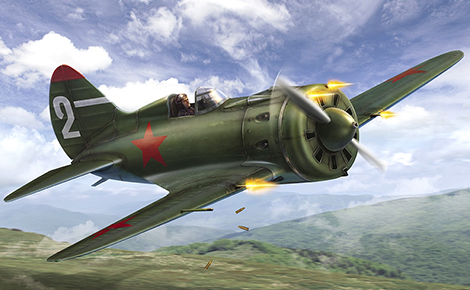 With its fast speed and high rate of climb, the Me-262 was a terror for the Allied pilots. With some new parts added, the 1/72 Revell GTK Boxer returns in a new boxing that will allow you to build it as a Netherlands Command post variant! Also for airline modelers out there, two 1/144 airliner kits, the giant Airbus A380-800 and the Embraer 190, are being reissued with new Lufthansa livery decals! And for ship modelers, if you missed the 2007 release of the 1/720 Graf Zeppelin, good news is coming for you as Revell is reissuing the kit! Takom is never at a loss for fantastic kits of interesting armor subjects, and this year is no different! Rounding out their line of Panther tanks are two versions of the Panther G, while their popular Strabokran kit is back, this time boxed with your choice of a V2 missile or a Hanomag SS100 truck. WWII American armor is represented by an all-new tooling of the M46 Patton tank, in scary tiger face paint schemes from the Korean War. 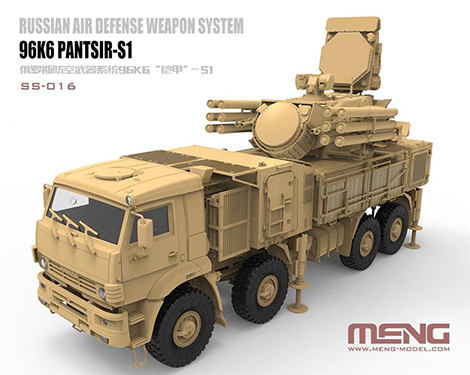 Meng continues to offer an amazing selection of kits in different genres, as evidenced by their modern Pantsir S-1 Russian Missile System and Leopard 2A7 MBT, a WWI armored car. They're also bringing out their hot 1/9 Kawasaki Ninja H2R motorcycle, which features a realistic vinyl seat, as well as pre-painted air intake screen meshes, carbon fiber texture decals, and plenty more to make this beauty shine. A B-24 bomber and Matilda tank from their popular cute deformed series of kits are going to be on display as well! 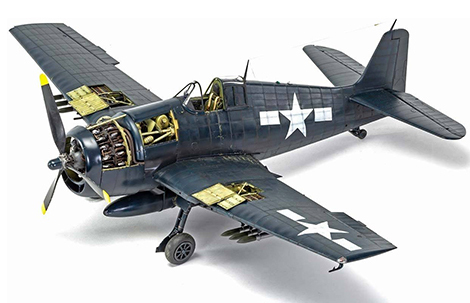 The big news from Airfix this year is a big new kit of the F6F-5 Hellcat, in massive 1/24 scale! You can pack a lot of detail in a kit of that size, and Airfix hasn't missed a trick, with a highly detailed engine, cockpit, landing gear, gun bays, and even a great representation of stressed skin on the fuselage and wing surfaces. Other big news is Airfix's foray into the world of 1/35 military models, starting off with a couple of Tiger Is, a Stuart Honey, and a US Army Tractor, with more to come. Doyusha's got a little of everything this year, from aircraft, to RC cars, to tools, and even educational kits of the human body! 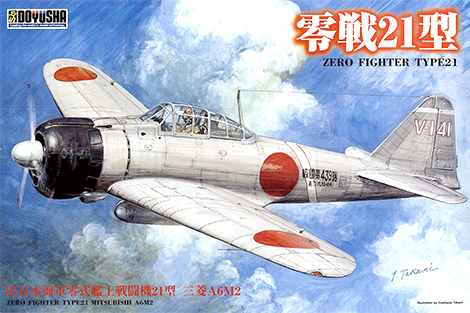 First up is a model for all you big-scale aircraft fans out there, a 1/32nd scale Mitsubishi A6M2 Zero Type 21, which comes in three versions to choose from. And for the more advanced modelers, they've brought out a new engraving tool so you can bring out the most detail in your project. Doyusha is continuing their R/C collection with the Mini Cool Series of uniquely designed cars, as well as their affordable line of rally cars that are fun for racing car fans of all ages. And last but not least is their series of human body models, with everything from the full human skeleton, to the ear, mouth, and heart ready to build and enjoy for a bit of educational modeling. 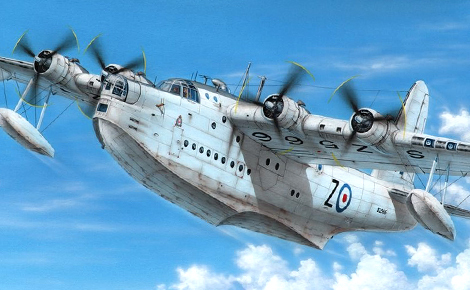 Special Hobby goes big with the massive and powerful Short Sunderland Mk.V seaplane in 1/72 scale, and the not-so-massive Model 239 Buffalo fighter in Finnish service, in a big 1/32 scale. And an interesting example of 1/35 WWII armor is represented by the Morserzugmittel 35(T) tank recovery vehicle. 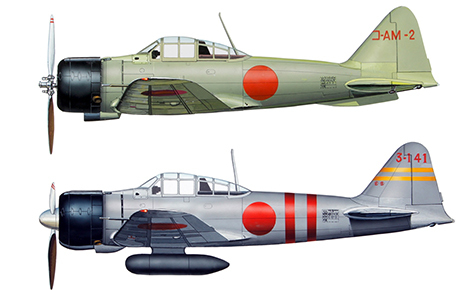 Sword keeps hitting them out of the park with great new releases, including a special edition of their 1/72 U-125A kit! 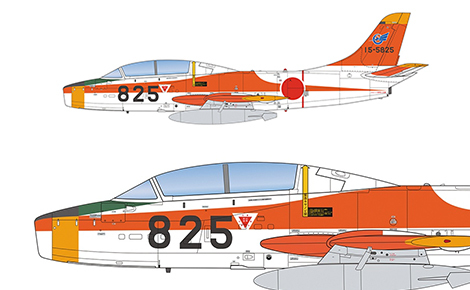 It will feature new photo-etched parts for the antenna, landing gear and pitot, as well as two types of decals, including markings for the Air Rescue Wing Komatsu Detachment 40th Anniversary. They're also bringing their 1/72 AD-4W/AEW.1 Skyraider, 1/72 Ki-102A Kou/Otsu Randy, Ki-102B Randy with I-GO Rocket, and more! Mark I will have a selection of 1/144 Mirages on display at the show, with plenty of different production models and markings to choose from so you can build it with with your specs and colors of preference! The Mirages all feature entirely new molding for these kits, so we look forward to seeing them in person. In addition, they're also bringing out two 1/720 Zeppelins, the R-Class and the HMA R33/R34. One of the most interesting new makers on the scene over the last few years has to be Amusing Hobby, and this year they keep that trend alive with some very interesting subjects! 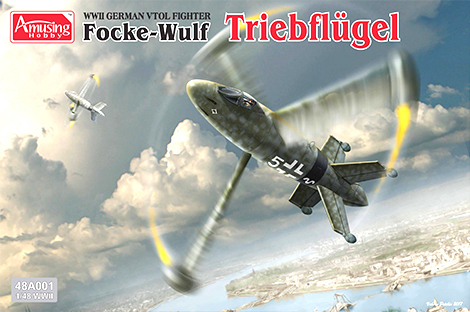 Planned but never produced subjects include a Focke-Wulf Triebeflügel in 1/48, a Rheintochter R1 missile on a Panther II chassis in 1/35, and a Panther II with Rheinmetall turret in 1/35. 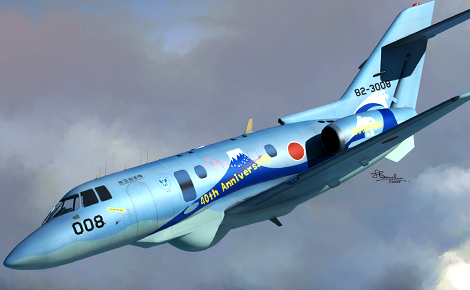 There's plenty more to look forward to at the Shizuoka Hobby Show! While we've highlighted the biggest news from the show above, there's surprises yet to be revealed, along with other manufacturers showcasing one or two of their upcoming releases. NuNu is bringing us a 1/24 Audi R8 LMS GT3, a racing car that took part in the 2015 Spa 24 Hours in Belgium. The rear cowl and the engine room will feature realistic detail, and the auxiliary lights specifically designed for racing have also been faithfully captured. Also from the 1/24 tracks comes the 2007 edition Fiat 500 by Italeri, featuring easy to assemble parts to make it fun for new and experienced modellers alike. 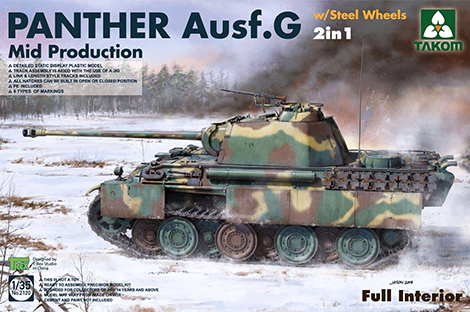 Dragon has a few updated kits for the show, including the 1/35 WWII Panther Ausf.F Anti-air Additional Armor Type, all with plenty of photo-etched parts to really bring your model to life. And from F-Toys comes volume 5 of their popular "World Tank Museum" series, this time featuring a German vs. American theme, with the light tank 38(t) and the M3 medium tank Lee. Ryefield Models brings the armor in the form of one of the heavyweights of WWII, the German Tiger I! Markings are included for two of tank ace Michael Wittmann's tanks, and clear parts are included for the turret and hull parts to show off the full interior within. Fans of lighter armor will be very pleased to see the M551A1/TTS Sheridan light tank, too! Unique subjects abound with Atlantis Models and Dora Wings, and a couple of the latest high-quality kits will be on display at the show, including Atlantis' 1/32 Lil Red Baron Show Rod (Tom Daniel) kit, and Dora Wings' very Porco Rosso-esque Marchetti S-55 floatplane in 1/72 scale. And then we have Kitty Hawk, who's going big with a 1/35 kit of the MH-60L Black Hawk helicopter of "Black Hawk Down" fame. From the sci-fi side of the show comes Polar Lights' 1/2500 scale U.S.S. Discovery from "Star Trek," featuring completely new molding. It will measure about 30cm long when completed, and will feature a dome base for display. A must-have for all you "Star Trek" fans out there!"